The One ships with Sense 5.0, and I have to say that the latest version of Sense is really the first custom Android skin that I don’t mind. I’m not sold on Blinkfeed, the default homescreen that allows you to aggregate content from multiple web sources as well as Twitter and Facebook, but thankfully you can easily change that default to something more traditionally Android. 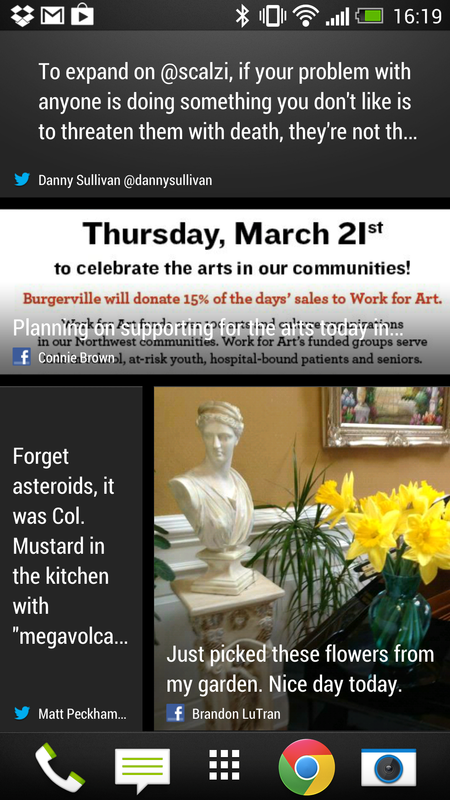 With Sense 5.0 HTC dramatically reduced the presence of widgets on the default home screen. Other than the Blinkfeed screen, there’s only a single home screen by default and the only widget on that screen is a Google search box. 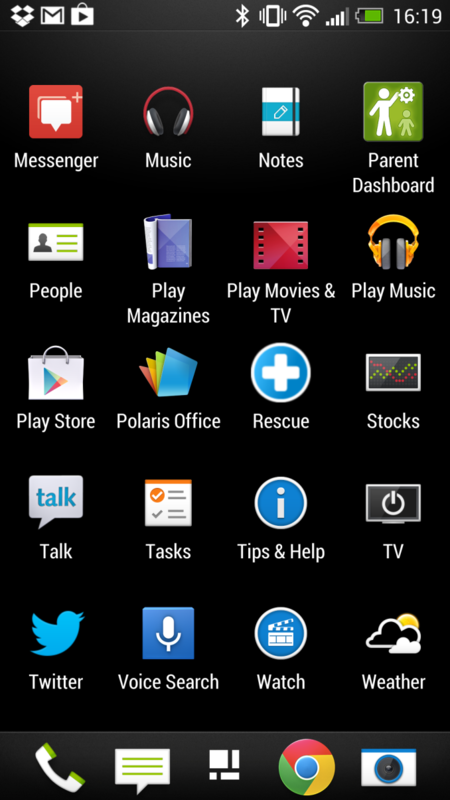 You can obviously add all of the widgets you want, but this is a noticeable departure from HTC’s strategy in the past. To be honest, it’s a lot cleaner. Sense 5.0 isn’t intrusive, and the work HTC has done in the gallery app sort of make the customizations worth it (more on this later). Even the default pre-load of apps is very sensible. Thanks to the underlying use of Android 4.1.2 combined with the fast Snapdragon 600 SoC, UI frame rate is incredibly smooth. Some interactions are still not perfect (e.g. zooming in Google Maps) but the overall experience is very polished and very fast. The One is the first Snapdragon 600 based smartphone that I’ve used regularly. For those who aren’t familiar with Qualcomm’s latest branding change, Snapdragon 600 refers to a quad-core Krait 300 based SoC with Adreno 320 graphics (APQ8064T). The SoC still uses the same 28nm LP process as the previous quad-core flagship (APQ8064), but clocks are a bit higher (1.7GHz in the One, 1.9GHz in the Galaxy S 4). GPU clocks appear unchanged, which is contrary to what I was told at the launch of Krait 300 but it’s entirely possible that we’ll see implementation with higher GPU clocks. Performance, as I mentioned before, is very good. Even the speed of the NAND HTC used in the device is among the best I’ve seen in Android devices. We’re still not yet at the point where I believe smartphone SoC performance is good enough, but at least we won’t see a huge jump in SoC performance (at similar power) until the move to 20nm in mid to late 2014. The impact of all of this on battery life, as always, depends on your usage model. I’ve been using the international One on AT&T, and 3G battery life is comparable to the iPhone 5 on the same network (non-LTE) at identical brightness levels. I have yet to see what the difference will be like with LTE enabled. Obviously with four cores and a larger, higher resolution display, the One definitely has the ability to draw more power than the iPhone 5. Keep the cores more active and/or drive the display at very high brightness levels and you’ll see worse battery life. For the past couple of years I’ve been talking about the increase in dynamic range when it comes to smartphone battery life, the One is no different in this regard. Brian will have a full rundown of battery life data on the One in his review. For me, the iPhone 5’s display is a little too small, and the One is probably a little too big. I think I agree with Brian here in that the ideal display size is somewhere around 4.3”. That being said, I find both devices (the 5 and the One) to be comfortably usable. The 5 is better for one handed use, while the One is better for actually consuming web content. 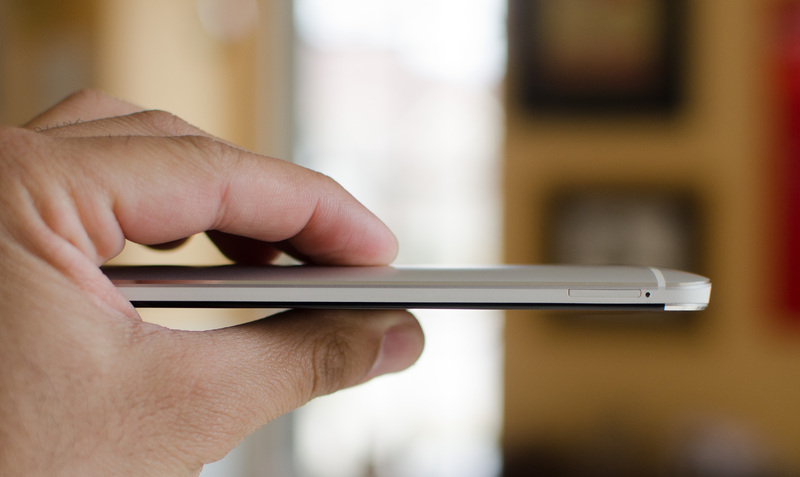 In pocket, the One is thin enough to not be a problem. Although it’s probably a bit overkill, I am pleased with the move to 1080p across all of the high end Android smartphones. The One’s display looks excellent and lacks the oversaturated colors of the alternative AMOLED displays. The One also features stereo speakers that get impressively loud (louder than any other smartphone I’ve used, by a considerable margin). I keep my phone on silent all the time but when showing others highlights reels, the One’s loud stereo speakers definitely come in handy. The final element of the One that I’m really happy about is the integration of 802.11ac support. 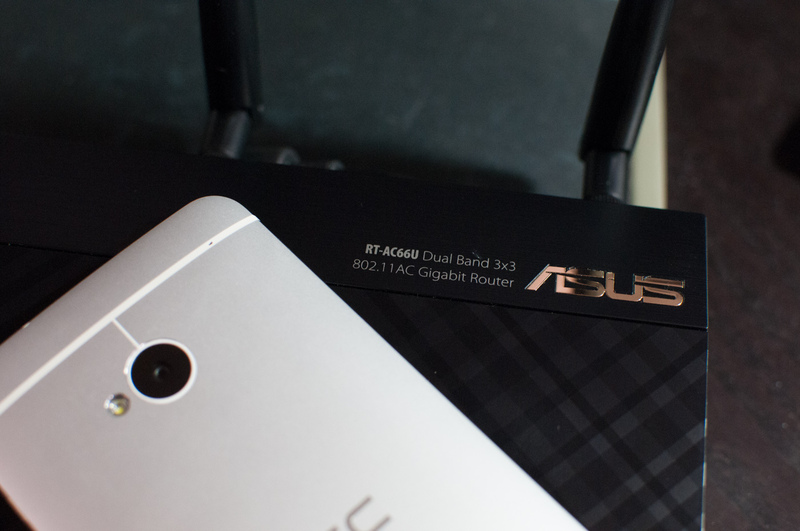 The One is good for WiFi speeds of up to 275Mbps (that’s actually tested, not theoretical). My wife had an original HTC Nexus phone and it was amazing, lasted in near perfect condition for about 2 years when she dropped it (a bad drop on concrete) and it shattered some part inside that made the phone unreliable with calls. I was sad to have to replace it, but the product was so good that it taught me two things I didn't know beforehand: HTC makes good products, and if you're going to use Android, you absolutely must use the pure Android. That is the one critique I have against any non-nexus phone, I'm not ever going to put myself into a situation where I have to buy a new device to get a newer rev of the operating system... ever! Don't buy into the bs that these companies put out about how they will maintain their version of Android in sync with the latest rev of what's available. And this is probably why I will never buy an HTC ONE, nor a Samsung Galaxy 3/4 and etc. Currently I'm disgustingly happy with my galaxy nexus.